This work was inspired by a chocolate grinding machine that Marcel Duchamp saw in the window of a confectioner's shop in Rouen, France. The artist rendered the machine in a dry and impersonal painting style, akin to the precise mechanical drawing found in architectural plans. 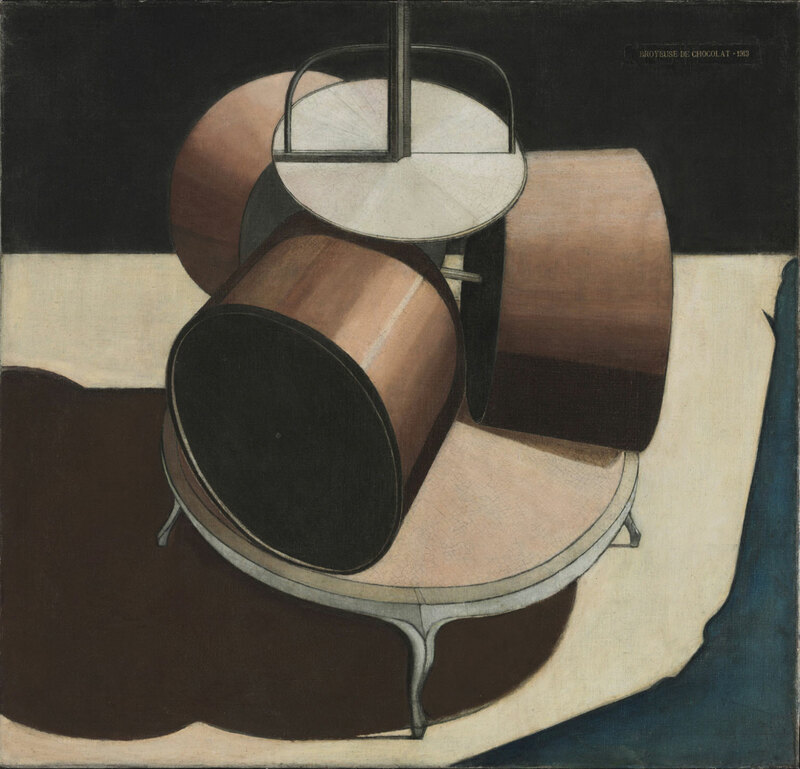 Duchamp was fascinated with the rotating drums of the chocolate grinder, which had a sexual connotation for him, and the machine would reappear several times in his work, most notably in the lower section of The Bride Stripped Bare By Her Bachelors, Even (The Large Glass) of 1915-23.